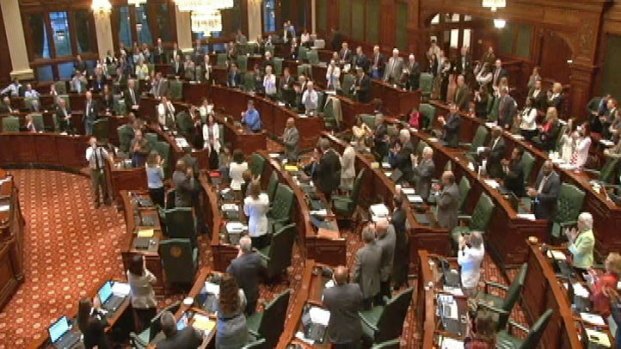 Democratic leaders in the Illinois Legislature said Friday that they would try again to pass a pension-reform plan backed by House Speaker Michael Madigan, rejecting a request from Gov. Pat Quinn to form a bipartisan conference committee to solve the state's worst-in-the-nation $97 billion crisis. Quinn met on Friday with Madigan and Senate President John Cullerton, who are locked in a stalemate over how to address the shortfall. 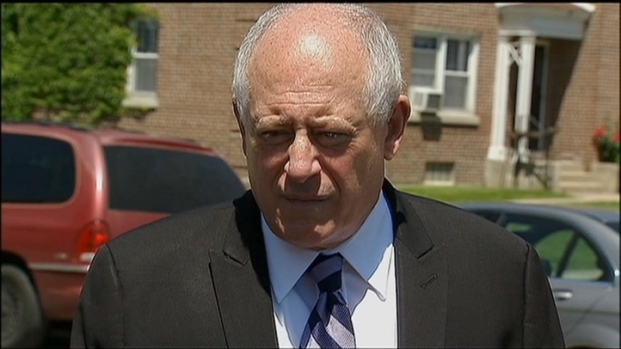 Quinn wants an agreement before a special legislative session scheduled for Wednesday. The governor's request would have been a tactic that hasn't been tried in Illinois in more than a decade. His spokeswoman, Brooke Anderson, said "on a really tricky issue, this is a way for an agreement to be forged." But leaders emerged from the meeting in Chicago to say they wouldn't form a conference committee and instead would try to give Madigan's bill another try in the Senate. The measure received 16 'yes' votes during the regular legislative session, but it would need 36 such votes next week. Gov. Pat Quinn on Friday said he's waiting for the Senate and House to come to an agreement and send him a pension reform bill, and says he's not concerned about "sideline critics" who think the stalemate will negatively affect him the upcoming governor's race. Illinois' five public employee retirement systems are $97 billion short of what's needed to pay benefits that were promised to workers and retirees. The shortfall is due largely to years of the Legislature voting to skip or short the state's payments. Republican leaders, as well as the governor, have blasted Cullerton and Madigan for failing to come to an agreement during the legislative session that ended last month. Madigan and Cullerton each had competing pension bills during the regular legislative session. Cullerton said Friday that he's not optimistic Madigan's bill would get the needed votes during the special session. Lawmakers adjourned Friday without action on gay marriage, gambling expansion or pension reform. Carol Marin reports. Earlier this week, Quinn asked Cullerton and Madigan to pass a measure that combines the two approaches. Days later, Madigan filed an amendment that gutted Cullerton's bill and replaced it with his own. Madigan's plan would unilaterally impose pension changes on state workers and raise the retirement age, by most accounts saving the state the most money of any proposal. Cullerton's plan would give state workers choices over what benefits to receive in retirement, which he contends would give it a better chance of surviving a court challenge. Quinn proposed passing both in a single bill with room for modifications, essentially making Cullerton's proposal a backup plan in case Madigan's solution is thrown out in court. But Madigan suggested it was too complicated and called on Quinn to persuade the Senate to approve the House-supported option. Republican leader Sen. Christine Radogno said Friday's meeting was like watching an "awkward family fight."